Signed from local side Europa, he was initially sent on loan to Real Valladolid and then was the backup to Velasco until 1949 when the team´s goalkeeper became seriously injured and he was given the opportunity to play. 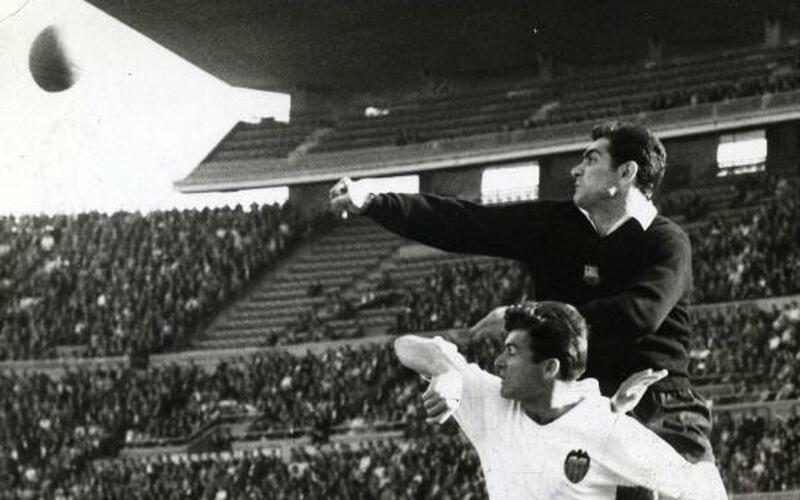 When Ramallets became Barça´s official goalkeeper it coincided with an era of maximum glory for the Club and he achieved many honours in the Five Cups era (1951-53) as well as in the era of the coach Helenio Herrera (1958-60). He holds the all-time record, along with Víctor Valdés, of Zamora Trophies won, with a total of five. Swift, agile, and above all very smart. In short these were the best qualities of Antoni Ramallets who knew how to be spectacular and simple at the same time. He established himself definitively as a goalkeeper in the 1950 World Cup celebrated in Brazil. It was at this time that he was christened with the nicknames “Gat de Maracaná” (The Maracaná Cat) and O guapo goleiro (The handsome goalkeeper). However his worst memory was certainly the unfortunate final of the European Cup in Berna in 1961. Barça played against Benfica and lost 3-2 after a match full of missed chances for the blue and clarets and in which Ramallets scored an own goal. This more than likely influenced his decision to retire. On 6 March 1962, Ramallets received an emotional homage from the Nou Camp fans in a match between Barça and Hamburg (5-1). In this match he was awarded the “Medalla de Mérito Deportivo” (a medal for sports excellence). Many years later, on April 6, 2013, a few months before his death, the Club and the Barça Players Association dedicated a joint tribute to him along with Josep Seguer.